Like the pioneers, the obedient payment of tithing fortifies our faith, and that faith sustains us through the trials, tribulations, and sorrows in our life’s journey. Tithing also teaches us to control our desires and passions for the things of this world. Payment of tithing encourages us to be honest in our dealings with our fellowmen. We learn to trust that what we have been given, through the blessings of the Lord and our own diligent efforts, is sufficient for our needs. The law of tithing prepares us to live the higher law of consecration—to dedicate and give all our time, talents, and resources to the work of the Lord. Until the day when we are required to live this higher law, we are commanded to live the law of the tithe, which is to freely10 give one-tenth of our income annually. To those who faithfully and honestly live the law of tithing, the Lord promises an abundance of blessings. Some of these blessings are temporal, just as tithes are temporal. But like the outward physical ordinances of baptism and the sacrament, the commandment to pay tithing requires temporal sacrifice, which ultimately yields great spiritual blessings. 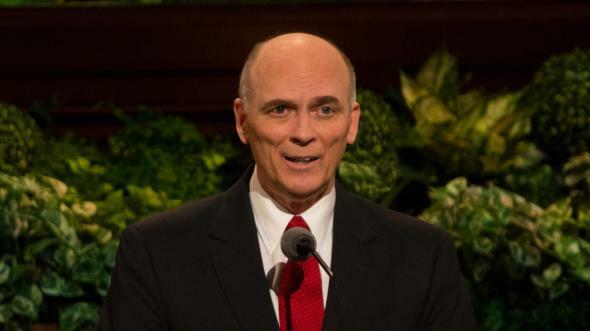 I know of a couple who lived thousands of miles from the nearest temple. Although they earned little, they faithfully paid their tithing and saved all that they could to journey to the house of the Lord. After a year, the husband’s brother—not a member of the Church—unexpectedly came forward and offered them two airplane tickets. 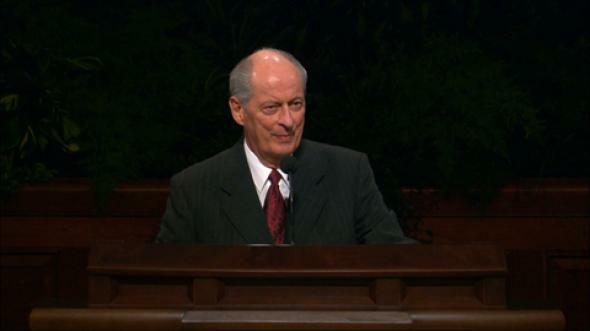 This temporal blessing made possible the spiritual blessings of their temple endowments and sealing. An additional spiritual blessing came later as the brother, touched by the couple’s humble faithfulness, joined the Church. Would any of us intentionally reject an outpouring of blessings from the Lord? Sadly, this is what we do when we fail to pay our tithing. We say no to the very blessings we are seeking and praying to receive. If you are one who has doubted the blessings of tithing, I encourage you to accept the Lord’s invitation to “prove [Him] now herewith.” Pay your tithing. Unlock the windows of heaven. You will be abundantly blessed for your obedience and faithfulness to the Lord’s laws and commandments. Be assured that these blessings are poured out equally upon rich and poor alike. 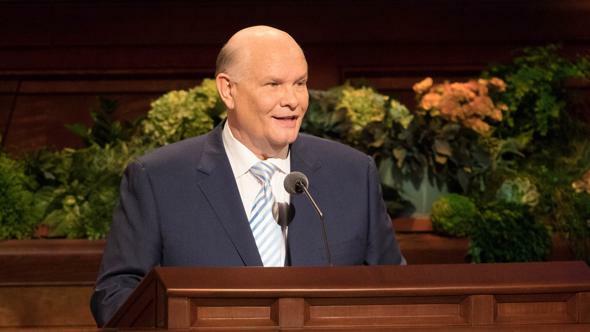 As the hymn says, it is “sacrifice [that] brings forth the blessings of heaven,” not the sum of our contributions.13 Members who freely give a full 10 percent of their annual income receive all of the promised blessings of tithing, whether the amount is a widow’s mite or a king’s ransom. Some years ago I visited a meetinghouse from another denomination. Etched in the beautiful stained glass windows which had been brought from Europe was the name of their donor; carved into the majestic pulpit made from the cedars of Lebanon were the initials of a wealthy benefactor; the most desirable pews were named after prominent families who had donated the most to the chapel building fund. 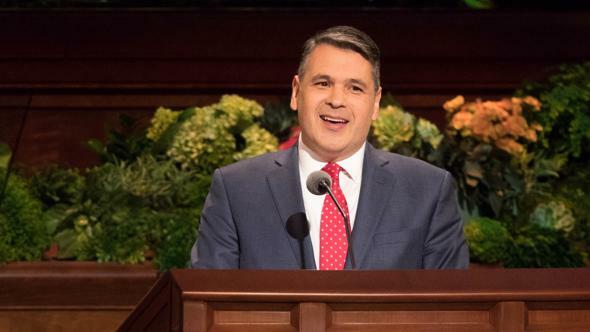 By contrast, in The Church of Jesus Christ of Latter-day Saints, all who pay a full tithe are equally acknowledged and blessed by the Lord, without special public honors and rewards. He is “no respecter of persons.”14 His law of revenue is truly an equitable one. Significant in our day is the way in which tithing is distributed. As we see examples of greed and avarice among some irresponsible corporate executives, we can be grateful that the Lord has provided a way for tithing to be administered under His direction. According to revelation, bishops are ordained to “keep the Lord’s storehouse; to receive the funds of the church.”15 Both bishops and clerks are expected to be full-tithe payers who have learned to live prudently within their means. 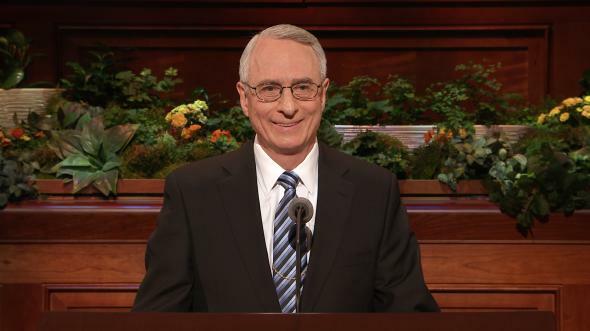 Within hours of receiving tithing funds from members of their wards and branches, these local leaders transmit the funds directly to the headquarters of the Church. 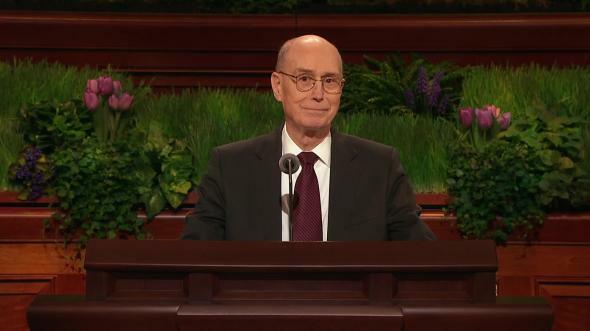 Then, as revealed by the Lord, the use of tithing is determined by a council comprised of the First Presidency, the Quorum of the Twelve Apostles, and the Presiding Bishopric. The Lord specifically states that the council’s work be directed “by mine own voice unto them.”16 This council is called the Council on the Disposition of the Tithes. 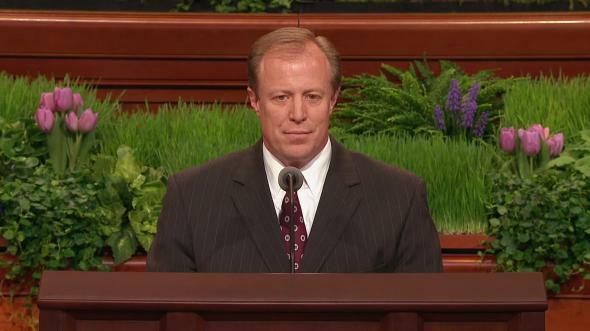 It is remarkable to witness this council heed the Lord’s voice. Each member is aware of and participates in all the council’s decisions. No decision is made until the council is unanimous. All tithing funds are spent for the purposes of the Church, including welfare—care for the poor and needy—temples, buildings and upkeep of meetinghouses, education, curriculum—in short, the work of the Lord. The tithing of the members of the Church belongs to the Lord. He decides, through a council of His servants, how it should be used. 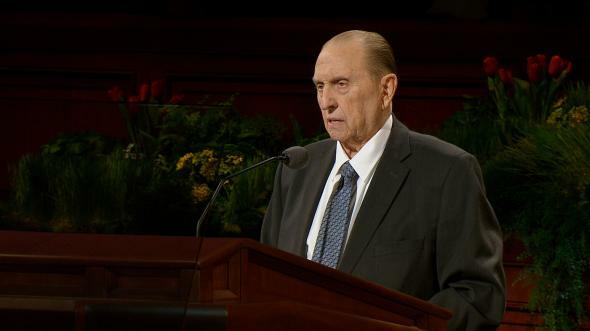 To Church members and others throughout the world, I bear my testimony of the Council on the Disposition of the Tithes. 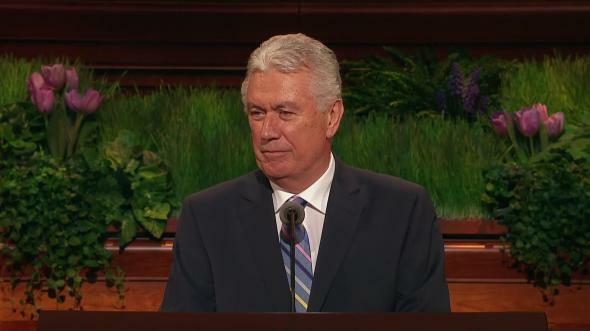 I have sat on this council for 17 years, as the Presiding Bishop of the Church and now as a member of the Quorum of the Twelve Apostles. Without exception, the tithing funds of this Church have been used for His purposes. The Lord desires that all His children have the blessings of tithing. Too often we as parents do not teach and encourage our children to live this law because their contribution only amounts to a few cents. But without a testimony of tithing, they are vulnerable. In their teenage years, they become attracted to clothes, entertainment, and expensive possessions and risk losing the special protection that tithing provides. In a few weeks each of us will have the sacred opportunity to sit once again with our bishop and settle our tithing with the Lord. Your bishop will be gentle and kind. He will understand the challenges you face. If you cannot pay back what you missed paying in the past, go forward. Begin today. Share with your bishop your commitment to pay a full tithe in the future, and work out a plan to return to the temple as soon as possible. 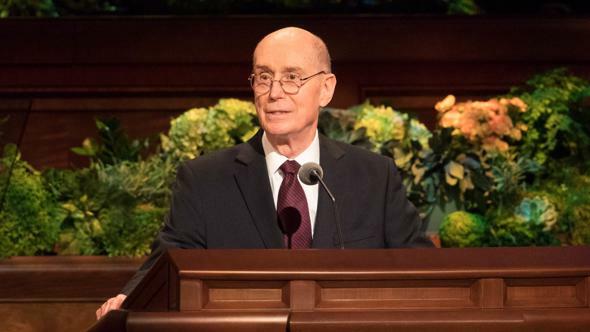 As soon as you have demonstrated your faith in paying tithing over a period of time and kept the other necessary commandments, you will be able to enjoy the eternal blessings of the temple. I plead with you, do not let this opportunity pass by. Do not procrastinate. Fathers and mothers, as you prepare for tithing settlement I encourage you to gather your little ones around you and help them count their pennies. Help your young men and young women consult their records and take inventory of their annual increase. What a marvelous opportunity this is to plant the seed of faith in the hearts of your children. You will start them on a path that leads to the temple. The generations of your ancestors before you and your posterity after you will rise up and call you blessed, for you will have prepared your children to perform saving ordinances on their behalf. It is no coincidence, my brothers and sisters, that under the direction of God’s living prophet on the earth today, President Gordon B. Hinckley, temples are spreading over the earth. 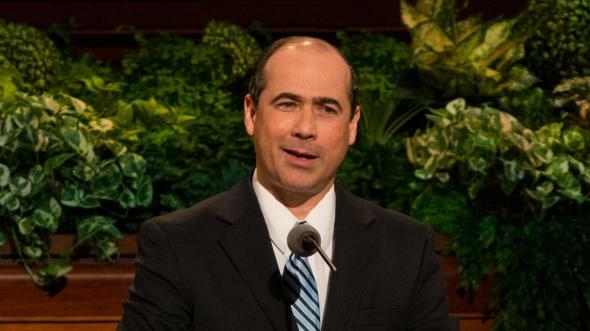 Keeping the commandments, which includes paying our tithing, will qualify us to enter those temples, be sealed to our families, and receive eternal blessings. This missionary understood that “there is a law, irrevocably decreed in heaven before the foundations of this world, upon which all blessings are predicated—And when we obtain any blessing from God, it is by obedience to that law upon which it is predicated.”19 The Lord wants to bless this family and anxiously awaits their obedience so He can. 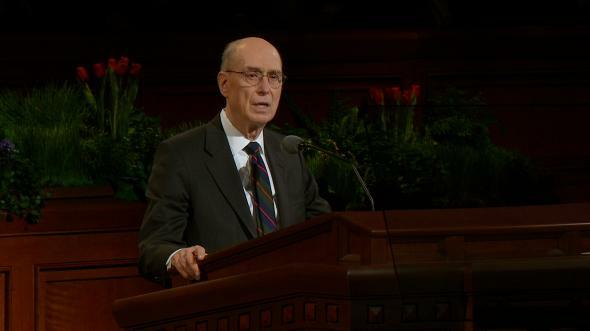 I testify that the Lord Jesus Christ sacrificed His life to bring this salvation to each of us. As His special witness, I testify that He lives. And on His behalf, I express gratitude to you, the children, the widows, the youth, the families—the faithful—for your sacred tithes. “These deeds shall thy memorial be; Fear not, thou didst them unto me.”21 In the holy name of Jesus Christ, amen. See Joseph F. Smith, Gospel Doctrine, 5th ed. (1939), 225–26. History of the Church, 7:282. History of the Church, 7:292–93. Journal of Sarah De Armon Pea Rich, Archives, Harold B. Lee Library, Brigham Young University (typescript), 42. See Joseph Fielding Smith, Church History and Modern Revelation (Melchizedek Priesthood course of study, first series, 1946), 196. 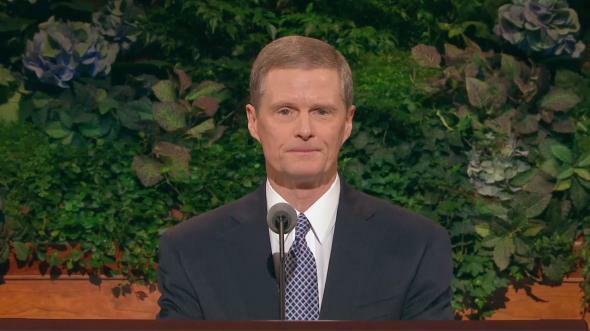 See historical introduction to D&C 119. See Church History and Modern Revelation (third series, 1946), 120. Sharing the Gospel with Others, sel. Preston Nibley (1948), 46; see also 44–47. Quoted in Church History and Modern Revelation (third series), 122. Joseph Smith, Lectures on Faith (1985), 69. “A Poor Wayfaring Man of Grief,” Hymns, no. 29.